I love Spring. It’s a promise of hope, of new life, of a new beginning. Here in South Florida, the changing of seasons is not as evident as in other parts of the US, or the world for that matter. 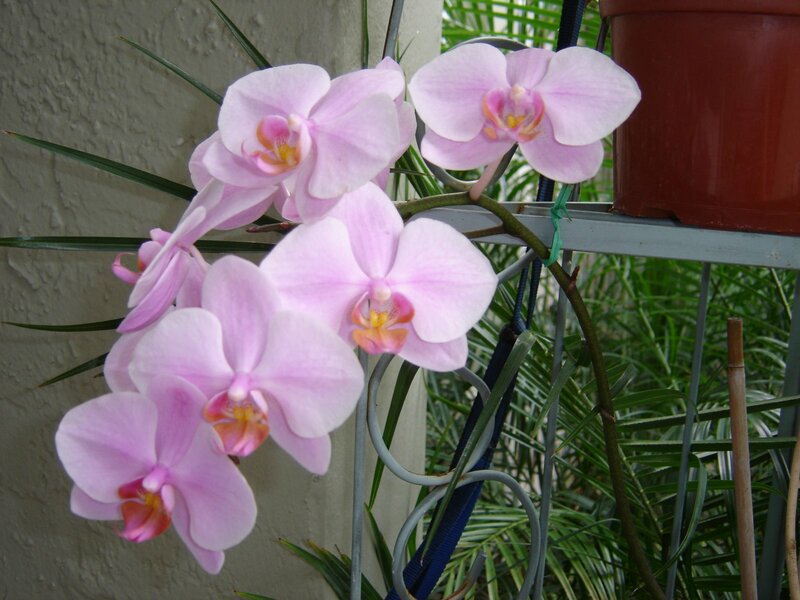 But there is one thing that always tell me that indeed, spring has come — my orchids. We don’t have a lot of flowering plants but we have these three little precious orchids. The purple and white were a gift from our neighbor five years ago, while the yellow one is Joe’s gift, some 3 years ago. These flowers amaze me. Their faithfulness remind me of our Father God who never fails and whose provision is never too early, nor too late but is always on time. Thank you, Lord, for these little flowers. Everything we see around us is a thumbprint of Your creation, an evidence of Your goodness! Let everything that has breath, praise the Lord. Praise the Lord.